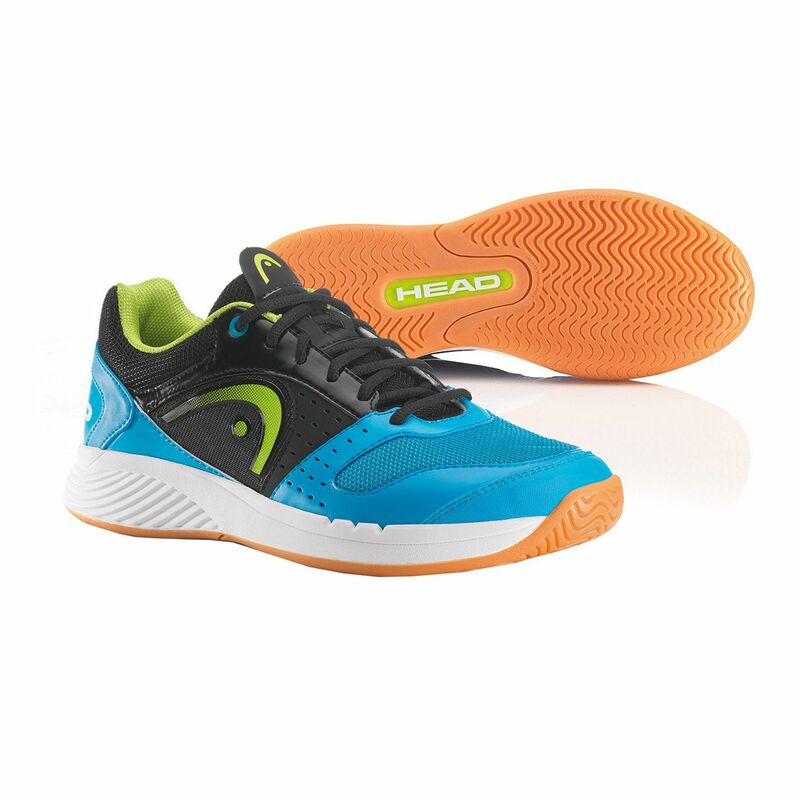 The Head Sprint Team Indoor Court Shoe is a lightweight shoe that also incorporates shock absorbing features to enhance comfort. Your heel gets impact protection from a heel dampening element incorporated into the EVA midsole, the midsole itself is a wrap up shape to cradle the whole foot and stabilise you through all those twists and turns. A TPU torsional stability bar is placed in the centre of the outsole and provides good torsional stiffness while durability in the sole is enhanced with Heads new Hybrasion+ gumrubber compound. The uppers, which are a synthetic stitched material, have a breathable tongue and quarter mesh inserts. for submitting product review about Head Sprint Team Mens Indoor Court Shoes AW14.